I’ve been skeptical about VR breaking out of games and niche applications into mainstream use within daily business and social life. My main doubt is that the immersive nature of the paradigm resists the seamless contextual movement between mediums which is at the heart of our current use of technology. Although we may eventually be wearing contact lenses, wearables and implants that make VR the ground which subsumes other mediums and applications, that’s likely at least a decade or more away for most of us. Until then, I don't see many of us pulling on and off headsets and haptic controllers dozens of times per day, the way we now move between phones, tablets and laptops. One application that recently took a leap ahead in the seamless movement between mediums is Amazon’s Kindle software. I’m a voracious lover of novels. Since I spend more than a dozen hours a week in my car, I end up listening to a lot of books on audio. 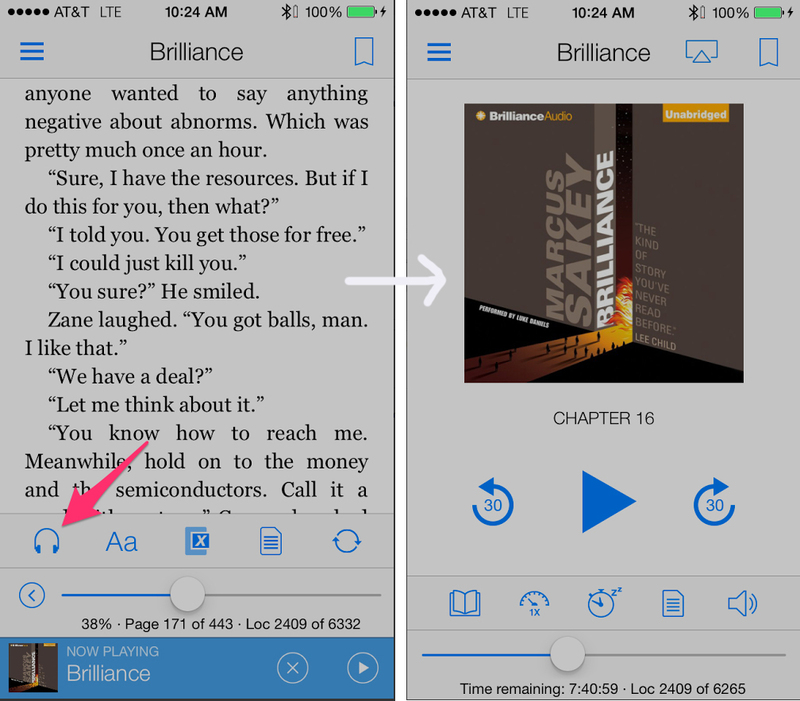 Amazon has offered “Whispersync” for a few years, which allows you to keep the books you read in the Kindle app in sync with the audio books you listen to on their Audible app. So I can quit Kindle, launch Audible and pick up where I left off. Usually. If it synced properly. Just this month, Amazon released a new version of their Kindle software that lets you move between text and audio within that single application. When reading text in the Kindle app, you click on the headphone icon in the lower left hand corner and the audio player launches, automatically playing right where you left off in the text. Although this seems like only a tiny difference between jumping between two apps, experientially it’s a significant usability improvement. It still makes me smile every time. Although it costs more to purchase both text and audio versions, the audio version is usually significantly discounted if you’ve purchased the Kindle version. And since you can share both audio and Kindle books with multiple people, in my household, at least two and as many as four people share the same purchases.